Looking for Additional Activities for Winter? 1.) Paint the paper plate with brown tempera paint can be done in the morning. 2.) 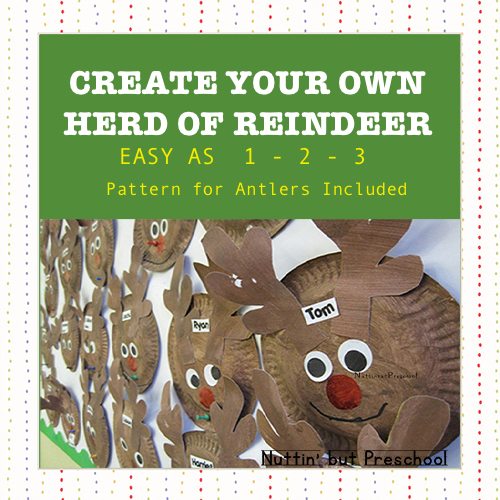 Cut reindeer antlers out of brown cardstock. 3.) After the plate is dry; glue on eyes, nose, and antlers. 4.) Draw mouth on with black marker. 1.) It is best to paint the paper plate body in the morning to allow it to dry. Assemble in the afternoon. 2.) For younger children, the antlers may need to be pre-cut.